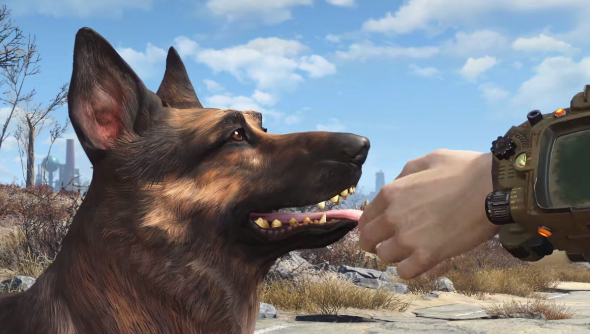 Roll up, roll up, we’ve got the Fallout 4 system requirements, release time and other details for you right here. Given you’re a person with access to the internet and exploiting that to read a gaming website, it’s a pretty fair bet you’re excited for Bethesda’s latest wasteland-em-up. Well here’s your chance to see how your PC stacks up and what time you’ll be staying up until to play it. All this information and much, much more is also available in our Fallout 4 everything we know article. Americans will all use EST, so congrats on your earlier night, west coast. Asia will be at 12am on Tuesday, November 11th. Japan is, uh, a month later at 12am on Thursday, December 17th. Sorry. In the announcement post, Bethesda have also clarified other details. Naturally they’ve got gamepad support ready to go on PC and Steam achievements for those of you who love a good popup. It’s also mentioned that the companion Pip-Boy app will work on Windows, iOS and Android phones and be available as soon as the 10th rolls around. If you’ve dropped mad cash on the physical Pip-Boy edition, there’s details on which phones will fit in it there too. Anyone else just realised how badly that upgrade they’ve been putting off is needed?